Open House Details: In the event of inclement weather, please contact us before coming for a visit to be sure the models are open. The Whitney II- A STUNNING REVERSE by LG Homes. This UNIQUE floor plan offers MODERN DESIGN and GREAT AMENITIES. Grand entry w/10' ceilings. IMMACULATE KITCHEN w/custom white oak cabinetry, gorgeous quartz countertops, & commercial sized fridge you won't believe. Spa like Master w/floating cabinetry & direct access to laundry. The LIGHT & BRIGHT LL entertaining area will PAMPER YOUR GUESTS w/modern wet bar, contemporary fireplace, gorgeous half bath, additional office space & luxurious bedrooms w/private baths. 17130 W 197th Terrace (MLS #2130571) is a single family home located in Spring Hill, KS. 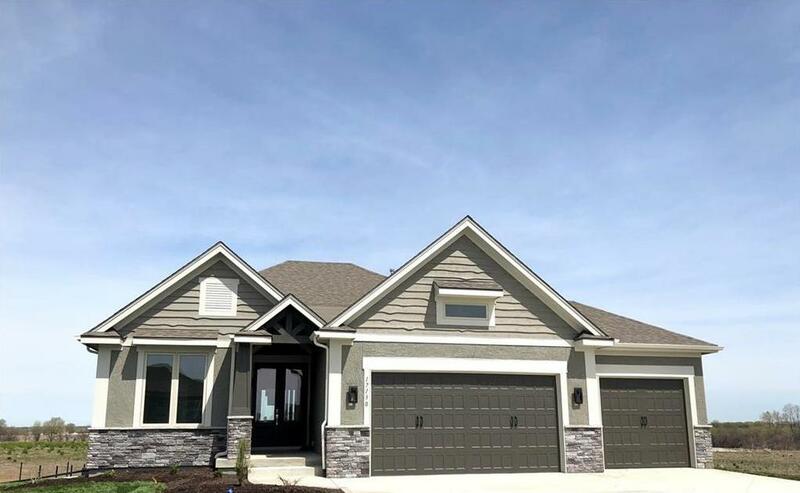 This single family home is 3,007 sqft with 4 bedrooms and 3.5 baths. This property was listed on 09/18/2018 and has been priced for sale at $434,900. Listing Last updated 04/13/2019 1:30 PM CDT . Some properties which appear for sale on this web site may subsequently have sold or may no longer be available. Walk Score provided by Walk Score. Mapping data provided by Google and Bing.